I don’t understand. After 40 some years, I still hope that someone would surprise me, go out of their way to do something, anything, extra special for me, wait on me hand and foot, pamper me, just for one day make me the priority. I am feeling that selfish twinge again. When I was little, I always had dreams of surprise birthday parties, or surprise trips, or anything that would be grand and exciting for my birthday. But, alas, my birthday was smack dab in the middle of summer. And living in a military community, my friends were either on vacation, or living off base and we couldn’t get together. I was always left to have a very small birthday with my mom and dad. Eventually, my birthday became just another day. When I got into high school and started getting interested in boys, Valentine’s Day was special. The schools would sell flowers that the guys could buy for their girlfriend or secret love. There were so many girls that got at least one flower. Me, usually I had none. My boyfriends were either short-lived, or non-existent. I wasn’t popular, nor exceptionally beautiful. And most guys were not very “creatively romantic.” The older I got, the more I saw that it was really nothing more than the retailers trying to guilt everyone into buying some overpriced thing for their love and if they didn’t get the biggest, most expensive thing then they really didn’t love that person. I resolved myself to the fact that Valentine’s Day was just another day. And I was OK with this because, really, you should be loved and cherished all the days of the year without being made to feel guilty. Thanksgiving, Christmas, and Easter, again being a military family involved a lot of distant friends and family. They’ve always been a tight-knit holiday celebrated between me, my mom, and dad. We lived so far from their family that travel was way too expensive. I can only remember one Christmas with my Mom’s Aunt and Uncle in Washington state. The only time we got to see my mom and dad’s parents and siblings were when we were on our way overseas. Every 4 years doesn’t really make you close. So our holidays were always just the three of us. But it was always about the family being together. Maybe it was living in England. Maybe it was being a close-knit family. Somehow, I developed my ideal image of Christmas, the kind you see in a Thomas Kinkade painting. A quaint little neighborhood. A blanket of virgin snow. A single trail down the center of the road that leads to the horse-drawn carriage. Christmas lights and decorations lining the streets and warm the houses. Everyone smiling and wishing passersby a Merry Christmas, helping those who needed help, and giving a small gift of friendship in any form. Friends and family circling round the fireplace drinking hot apple cider, singing Christmas carols, and sharing in the warmth of the love. My heart and soul must live in a different time period because with each passing Christmas, I realize there’s no more magic in it. It makes me incredibly sad and frustrated. I want the magic. I want the love and warmth. Because of the issues my husband faces daily. The pain, the depression, the forgetfulness, and everything else that comes along with my wounded warrior, my ideal Christmas never unfolds. Most of the time we don’t put up decorations. And if we do, it’s what I can put up myself, or with the help of my son. There’s no desire in my husband anymore. Every day is just about getting through the pain. There have been so many family holidays and get-togethers that he’s missed because of the pain. I know it tears him apart. Now. But there was a time that those auto-thoughts kicked in and I wondered if he disliked my family, or he hated doing anything with me, or he just hated going outside. It took several years, and a lot of communication with him, to kick those auto-thoughts to the curb. Even now, I still have to tell them who’s really boss in my head. Some days are better than others. So, yesterday was Mother’s Day. The one day everyone raves about what their husbands and children do for them. Breakfast in bed. Homemade cards and crafts. Surprise visits. Dinner out or at the very least, cooked by anyone other than the Mom. Now that I’m in a community with other Veteran Caregivers, I see a different side of Mother’s Day. Many feel the same as I do. Left out. Just another day. Wishing that someone would make them the priority, or even an effort. But there were so many other posts out there where their veteran was blowing up, arguing, ignoring, leaving. These ladies were feeling that they weren’t important or loved or even recognized. Their day seemed so much worse than mine. It made me take a step back and look at my day. Yes, sure I woke up like every other day. I laid in bed until TheBoy got up. TheHubs was already awake, downstairs watching TV after a night of insomnia. Yes, sure I had to remind both my son and my husband to wish me happy MomMom’s Day. But, hey, I got hugs and kisses. Yes, I made breakfast. And yes, hubs went to bed soon after we woke up. I managed to wake him up around noon and asked if he wanted to go with us to get groceries and TheBoy a new set of swim trunks. His pain level was pretty bad and I gave him two hours to see if it would calm down. Nope. As per usual, it remained high. So TheBoy and I went out by ourselves. I had those bad thoughts, those selfish thoughts again. But I didn’t let them get to me. The guilt tried to creep in, too. But I pushed it aside and did what I needed to do. I did do something bad, though. I bought some cookies, some donuts, and also the items to make strawberry shortcake. I also bought Subway for dinner. Hey, it was Me Day, right?! 😛 I wanted to go to the salon and cut off all my hair but decided I wouldn’t put the boy through that. I also wanted to look for a new swimsuit for me too. That whole ordeal, for both of us, was a disaster. But we did have a little fun with hats (in which I bought him one). When I came home, TheHubs was on the Xbox. I had to bring the groceries in and put them away without his help. I understand that playing the Xbox does tend to allow him to forget his pain temporarily. I’m going to be honest with myself, and with you: I was a little upset when his match was over and he didn’t help out. I was a little upset that he didn’t take time out to eat with us. I’m not entirely sure why I was exhausted after 3 hours of grocery shopping. So I went upstairs and laid down on the bed to watch some shows since he was downstairs playing his game. Yup, just a typical day for us. While I was laying there, alone, I went over my day and all the posts I read regarding Mother’s Day. And you know what? I need to let go of those unrealistic expectations, those magical dreams of the perfect holiday, and just enjoy the small things. Count them and watch them pile up. Soon, it will be a HUGE mountain of positive. My husband’s alive. He loves me. My son is alive. He loves me. He made a card with love for me. We were together at the store and had fun trying on hats. We were able to enjoy some good food. And we made it through another day. I’d call that a win. So when another holiday rolls around, I just need to sit back and enjoy what I have, even if hubs can’t participate fully. Because, you know what? I’m loved and cherished every day. Every holiday is just another day. I am thankful for what I have. This entry was posted in Caring For My Veteran, Emotions and tagged anger, caregiver, caregiver support, emotions, feelings, guilt, holidays, lonely, Military, not alone, PTSD, Secondary PTSD, stress, support, TBI, veteran, Vets on May 12, 2014 by LadyJai. The distressing emotion brought on by impending danger, pain, the unknown, hopelessness, etc. I always thought of myself as fearless when it came to change. Being an Air Force Brat, I expected change. I was raised knowing that “change is the only constant.” Thinking back, I realized it was only a facade. With each new move came the dread of leaving friends and having to make new ones, proving myself all over again. It always ended the same. I learned to harden myself so much that isolation seeped in. Then there was all the school studies and boyfriend angst of my teenage years. The fear of failing still haunts me. The fear of my husband leaving me like all the other guys ever did lingers at the back of my mind, even after 24 years of marriage. I still have fear of failure with my job. Each new job, each new responsibility, the possibility of any change drives the fear forward and causes panic. I’m comfortable with my schedule, my commute, my job, my life. Anything that could ever cause an uproot to my comfort zone I fear. And I think that’s why I tend to not progress/excel in anything I do. Overcoming this fear is quite difficult. But not as difficult as overcoming the fears that haunt my soul today. What’s worse? The fear that comes along with caregiving. I struggle daily to beat the fear back into the corner, slashing and hacking away at the negative, the fears that try to sink me. I’ve expressed some of these fears with my husband only to find out that he has them, too. After joining some of the Veteran Caregivers support groups I’ve found that my fears are very common. Will his pain ever subside? Will he ever get better? Will we ever have a normal life? Or is this the best it’s ever going to be? Every day I go to work, I leave my husband home alone. He takes care of our son, feeds him, gets him off to school, and greats him when he comes home. But those days when he hasn’t slept, or the pain is too great, or when he has trouble waking up, I’m afraid. I’m afraid that our son will be left alone, that I’ve left my husband alone in a time of need, that he needs my help, or the doctor’s, but as stubborn as he is won’t ask for it. Or maybe today’s the day. He’s at a very high risk for stroke because of the sheer number of migraines he gets per month. Added on to that, he has an even higher risk because of the amount of medication he takes for his migraines. Then, there’s all the other medications he has to take for the rest of the pain. It’s all so very taxing on his body, not to mention his mental state. And that’s another point, his mental state. Anyone who suffers chronic pain will go through bouts of depression. He’s been suffering 15 years now and we’ve gone through all the cycles. On top of that, he’s been diagnosed with PTSD. So, the fear of losing him to that battle is always with me. I’ve always feared the medications he takes. They are some serious drugs with serious side effects and mixing them together, well, that’s caused us many a heartache, too. From hallucinations to catatonic, from wired to narcolepsy, from excited to rage. I cringe each time a new medication is introduced. The words, “Let’s try this” make me want to vomit and cover my ears and scream, “no no no no no no no no no.” We’ve heard it so many times over the years. And we’ve been traumatized with two near misses with a very deadly interaction called, “Serotonin Syndrome.” I wrote about it on my other blog a while back, the last time we experienced it. It’s definitely not pretty. I do hope you will read it, just to know the warning signs–especially if you take migraine medication (triptans) and any SSRI antidepressants or even the supplement melatonin. So, yeah. Any time there’s a change to medication I get very afraid. Before we knew to look for side effects and drug interactions, his moods would swing drastically. There were times when the wind would blow the wrong direction and he’d rage out over it (not really, but it’s an example of how random his anger was over trivial things). It scared me because I didn’t know how to handle it. I always thought it was my fault and do my best to not provoke him. This always led to anxiety, acid stomach, and bouts of crying from me. I’m slowly overcoming this fear since we’ve learned to recognize it, understand why he experiences it, and actually manage to communicate better through it. I think, right now, the worst fear is when he texts me “I’m in trouble.” He’s been getting worse over the last few years. Nothing we do has been any help in at least reducing the pain. And now, he’s coming off a heavy drug that’s very hard on his system. So when he tells me he’s in trouble, I panic. Does he need me to come home and help him? Do I need to take him to the ER? What if it’s worse than he’s letting on? What if I can’t get to him in time? Then there’s the fear of financial drain. We go to the VA for some of his treatment, which incurs long travels and gas. But what the VA doesn’t provide, we have to use a civilian doctor, which is more often than not. Each year gets more expensive than the last. And we’ve already spent more in less than 3 months as we had in 9 months last year. Dear husband is weighing his treatment to our finances. Sure not having money scares me. But also watching his pain grow greater because we cannot afford to pay for his treatment scares me more. Oh, and all those times when he has to drive himself to the doctor, especially the VA doctors that are so far away, it scares the hell out of me. Taking time off from my job just to take him to his appointments is scary enough. I don’t want to lose my job and then we would really be in a world of hurt financially. But every time he gets behind the wheel when he’s not been to sleep in 24 hours, or in so much pain, or just took some medication to dull the pain, scares me. He’s been doing it for at least the last ten years, he knows how the medication affects him. He knows when he needs to pull over. But still, it scares me. I wish I could quit my job and be a full-time caregiver but that’s not financially feasible. And God forbid if I get sick, or hurt, and am out of work for an extended period of time. Who will take care of him? Our son? Me? What happens if I die? How would he survive when he’s told me oh so many times that if it weren’t for me and my love, he’d probably be dead by now. There are too many fears that I face to go into each and every one of them, and they change with the situation. But you get the idea, right? The truth of the matter is, regardless of our circumstances, we all have fears. Caregivers and non-caregivers alike. Just as those who suffer debilitating fear must confront that fear in order to get through the day, so must we admit our fears and meet them head on. If we ignore them, let them stew, the grow bigger, and quickly turn into out of control monsters. They smother us and drag us down until we can no longer surface and break through to the bright positive side of life. I know, I was there just recently, where I that’s all I heard. And I listened. I could not fight my way out and I saw no hope. I felt overwhelmed, selfish, guilty, angry, and alone. I was unworthy of anything good. Ever since I had my epiphany to live life as positive as I could, I hated feeling this way. I knew what I needed to do. I needed to get out of the funk. I just couldn’t figure out how. It takes a lot of hard work to be positive. And I just didn’t have the energy. I needed some help and I was afraid to ask for it. No one would understand. Or so I thought. I finally made an appointment with my doctor and he prescribed a mild anti-depressant which rebooted my brain. I started to think more clearly and I finally managed to find myself some like-minded people and I knew I wasn’t alone in all this. I began climbing up the well towards the light again. Do I still have fears? Absolutely. Every day. Every situation. But I don’t let them rule me anymore. Some days are easier than others. Some situations, too. 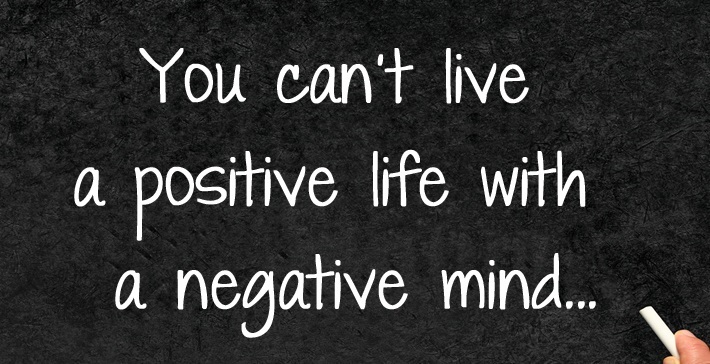 But it has to be a conscious effort to keep positive. It’s the only way to get through all of this. I will leave you with one of the best quotes I’ve found about fear from the book Dune. It really is the mind killer. This entry was posted in Caring For My Veteran, Emotions and tagged caregiver, caregiver support, emotions, fear, feelings, lonely, Military, not alone, PTSD, Secondary PTSD, stress, support, TBI, veteran, Vets on March 12, 2014 by LadyJai. I was born, baptized, and raise Catholic. Guilt is a given. From the moment I was born I had already sinned. It’s not my fault. I didn’t do it by choice. I was being punished for something that happened so many generations ago, for Adam and Eve’s mistake. Then I was taught the Ten Commandments, the six commandments of the Church, and a whole slew of other do’s and don’ts. If you do this you’re going to Hell. If you don’t do that, you’re going to Hell. I was unworthy. As I grew up, I visited with many of my extended family members. I saw how some twisted the word of God to suit their needs. I saw the strict adherence to His word and any deviation caused many an argument. Every decision I made in life came under scrutinization. I tried to do everything right, but failed. Fingers pointed. Some even shunned me for my questions, beliefs, and practices. Eventually, discouragement set in, and I steered clear of hard choices. No wonder I feel like everything I do is wrong. 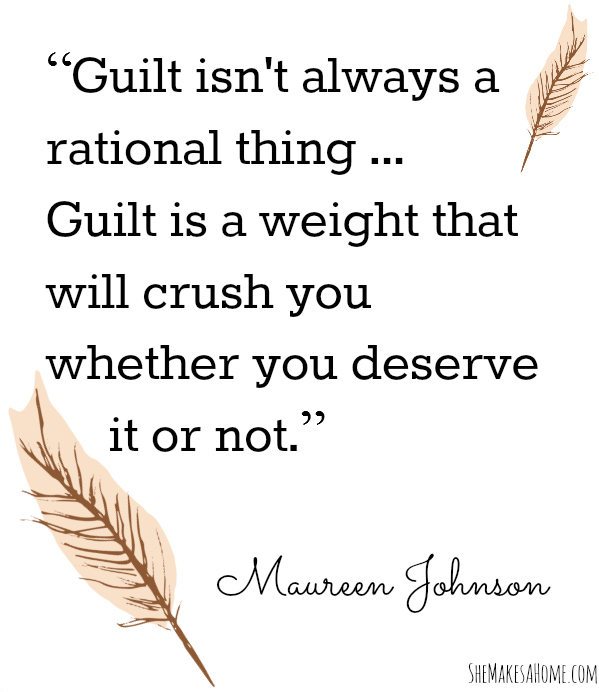 Every choice I made, and continue to make in my life, big or small, is weighed against some measure of guilt. Everything I did, I did to please. If I could direct the decision making to anyone else, the blame would never fall on me. It could very well be the reason why many of my relationships failed, why I never really “took a chance,” and why I continue to work where I work. Pleasing everyone is my comfort zone. I was young when I married my husband, not very self-confident. I let him make all the decisions. I thought if I let him chose and he didn’t like the outcome, it wouldn’t be my fault. Now, I’m pretty sure this was incredibly hard on him. I also did not like confrontation because that meant I was not pleasing him. (I did this with friends, family, and boy friends alike). Not pleasing meant guilt. When things went wrong, or my husband was mad at something, in my mind, it was my fault. Because I couldn’t make things right, it was my fault. Because it happened in the first place, whatever it was, it was my fault. I took all the responsibility of everything in my loved ones lives, be it in my control or not, all on myself. And because I couldn’t fix things, I failed. Failing meant guilt. Over the years, my husband built me up. My self-confidence grew. He was my rock, my strength, and he gave me the courage to stand up for myself. But, there were still certain things I just couldn’t do. I still wanted to please everyone. And when that didn’t happen, my guilt flowed free. Telling my husband “no” was THE hardest thing to do. So I didn’t. It got us into a lot of trouble, financially. So much debt with absolutely nothing to show for it. Before he was diagnosed, I just thought he didn’t understand financial responsibility. When we first got married, he deployed to Korea for several months and I was responsible for paying all the bills. When he came home, he just let me continue. It was easier to have one person in charge of the money, especially since he was always working incredibly long hours, in the field, or deployed. After he was diagnosed, though, I still find fault in how I handled it but I know it’s not entirely my fault. If I had shown him what he was doing to our finances earlier, maybe he would have sought help before we got too deep. Maybe if I said no more often, we would not be in this predicament. See, that…I still find the guilt. We’ve managed to pay off most of that debt. It took many, many years. And now that he’s been diagnosed and receiving treatment, we now know the reasons why it happened and are learning to recognize the signs before they get out of hand. I’m very thankful for this, that he’s learning to control it, that he’s willing. Sure there are days he slips, but now, instead of me clamming up and just dealing with the issue inside, we talk about it. I’m still afraid to tell him no; but he’s helping me talk about it, helping me learn to say it. And I’m learning to let go of the guilt…a little. But finances were only a small portion of my guilt. Everyone was right. I was always wrong. If I was a better daughter. If I was a better friend. If I was a better wife. If I was a better mother. If I was a better listener. If I was smarter. If I had more time. If I hadn’t said that. If I hadn’t done that. If I hadn’t burned dinner. If I hadn’t moved his keys. If I cleaned more often. If only I left his stuff alone. If I tried harder to wake him up. If I had only let him sleep longer. If. If. If. If I had done everything right, none of “this” would have happened. But I’m not. No one can be perfect. I am learning to accept this. It’s a constant struggle. I do believe my husband’s treatment is also helping me, though. Because he’s opening up to me, because we are communicating better than we ever have over the last twenty-four years, I’m learning to realize I am not Super Woman, no matter how much I want to be. I cannot please everyone. And just because I did something wrong, doesn’t mean that I am a failure. Failing only happens when we don’t learn from our mistakes. Those times when my husband is angry, it’s not always my fault. I have to take a step back and breathe, let him process his anger. Patience is so not my virtue, but I am learning. Eventually, he will talk and we can work through it together. It’s the waiting that’s killer now. Guilt still floats around in my brain; but I’ve learned to look at it from a different perspective. I have to assess the situation. Is it a result of something I did or said, or was he just having one of those types of days. There are those times when anger takes over as well. Anger at the situation. Angry at his pain. Angry at his medication and how it makes him look and feel. Angry that he’s not helping. Angry that we don’t have a life. Angry that I have to do it all. It’s not pretty and I feel guilty for those thoughts that run through my head. I understand it’s not his fault. It’s not my fault. It just is. But I still get angry and those awful thoughts that you just can’t help always make me feel guilty. Like I’m a bad person. That it’s my fault for everything. And the cycle of guilt continues. Now I think back at how guilty I felt, how I always took the blame, and everything was my fault and I can see exactly how selfish that sounds. It’s not always about me. It’s not always something I’ve done or said. It just is. We will get through this. There are better times to come. These are the thoughts I use against the guilt that rises up. It’s not me and he just needs to process it so he doesn’t say or do something he will regret. These are the feelings of guilt that I’ve had some level of success keeping at bay. However, there’s a new level of guilt that I have yet to even begin to overcome. The guilt of taking care of me. My heart and my head have never played nice. I’ve always struggled with what I KNOW and what I FEEL. 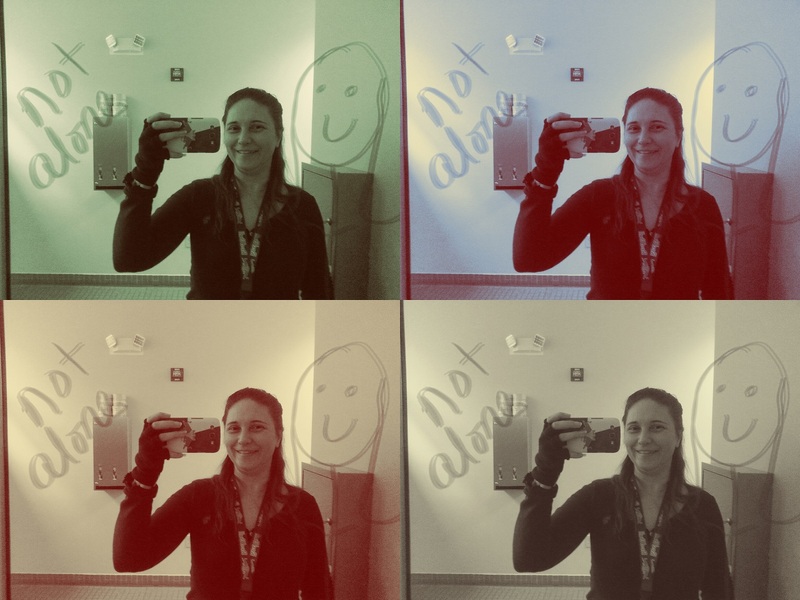 I know that in order to be the best possible caregiver, I need to take care of myself first. If I’m not healthy and strong, how can I be able to be 100% there for my husband? My brain knows this. He worries about me. Dwells on his own guilt feelings for being the way he is and causing our lives to be the way they are. It’s not his fault. I keep telling him. It’s the fault of all those who caused his accidents over the years. So, expressing my pain, my emotional health, my physical health openly to my husband is very difficult. If whatever I say causes more undo worry and guilt for him, I feel guilty for saying it. It’s my fault. I made the situation worse. How can I be the strong one if I’m complaining about my faults. I spoke about our lack of friendship, companionship, and understanding in my previous post. I also spoke about how I was persistent in my search for the same. I found an online group which provides an easy outlet for me. But it’s not the same. It’s the lack of physical contact that hurts, but one I’ve been used to for so very long. Now, I’ve also found a local group of ladies, from The Hearts of Valor, dealing with the same issues. I was invited out to dinner one night last month. I so wanted to call and cancel. I came very, very close. It’s what I do. I was scared about meeting new people. I was guilty for leaving him alone, in pain, while I’m off getting out of the house, meeting new people, having fun. Oh, the guilt of having fun without him, while he’s laid up in bed because of the pain. Yeah, that guilt. The worst one of all and the hardest to overcome. Even this blog has caused some feelings of guilt, for saying things out loud, for everyone to read. It’s like saying them has made them real, made them something tangible. I can no longer hide from these feelings. I have to learn how to accept that they are a part of me, that everyone feels them. It’s time to process them and get through the negative in order to experience and cherish the good ones. Without the hardships, the joys wouldn’t be very joyful. If you’ve experienced the same feelings of guilt, you’re not alone. If you have suggestions on how to better overcome this, please feel free to share. I am open to any and all suggestions. This entry was posted in Caring For My Veteran, Emotions and tagged caregiver, caregiver support, emotions, feelings, guilt, lonely, Military, not alone, PTSD, Secondary PTSD, stress, support, TBI, veteran, Vets on February 19, 2014 by LadyJai.